Your logo is the face of your brand and ties into nearly every presence your business has – both online and offline. Where you put your logo makes a difference in how often it’s seen. The importance of logo placement ties directly back into how people see your brand and how memorable your company is. Around 89 percent of surveyed marketers indicate branding awareness is their top goal. Since your logo ties closely into how people see your brand, logo placement is one of the top things marketers should focus on when planning a branding strategy. However, it’s also important to understand the best locations for logo placement, as putting a logo in the wrong place is at best distracting and at worst poor design. There are reasons why the importance of logo placement impacts your bottom line. If you want your logo to stand out and grab user attention, put a boundary around it that sets it apart from all other surrounding elements. The boundary works no matter where you place your logo. Both online and on a product, you have white space around your logo. The boundary should be used anywhere your logo appears, although the scale of it might change. While this does limit other elements of your design, it also gives the reader’s eyes a break and draws attention to where you want it to be — on the logo. StarKist creates a boundary around its logo, which is its name and mascot: Charlie. Note how there is negative space on the product packaging. 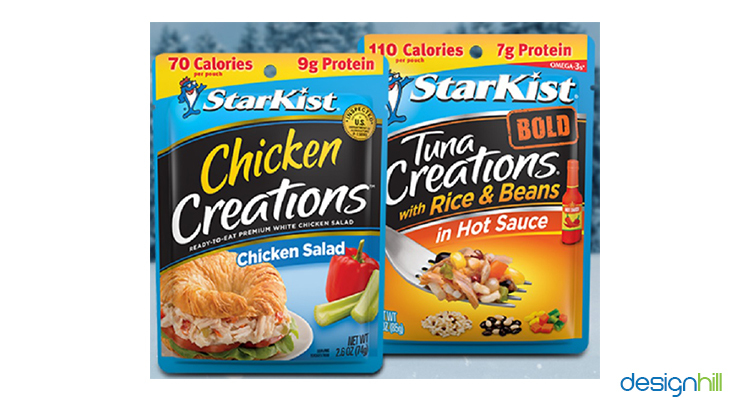 The logo isn’t crowded but is set apart from the rest of the images and text on the pouch of tuna. The importance of the logo gets highlighted when you set the image apart from other elements. StarKist repeats this technique on products, its website and social media accounts. You’ve probably even noticed it uses spacing in television commercials, highlighting the logo at the beginning or end of the video clip. In some situations, your logo needs to stand out more than in others. One example is at trade shows, where attendees might see your booth from a distance and have difficulty reading a smaller logo. Think about when and where people interact with your brand and if you need a larger-scale or smaller-scale logo design. Also, consider placement in terms of the distance people view your signs from. For example, when the person enters the aisle and is 500 feet away, can they still make out your logo design? Is it high enough to see over the sea of other attendees’ heads? Keep in mind you’ll want your logo viewable from a distance and up close, so you may need to add smaller logos on some of your tables and displays. The shape of your logo might tie into your product, but some of them make it difficult to place the logo just anywhere. When initially designing the logo, think about how much impact you gain from a particular shape and if it’s worth it to take up real estate in your designs with a circle, square or rectangle. At the same time, if you already established your logo and used a specific shape, you may not want to change it. Users come to associate your brand with your logo, so finding ways of working around the shape, such as implementing other geometric designs, is a smarter use of your time. Note how Alka-Seltzer’s logo is round to represent its fizzy tablets. This limits where it can place its logo, and it uses a bit less boundary than some other logo styles. On its Facebook page, the logo works quite well as a profile image since it’s round like the shape of a person’s face. 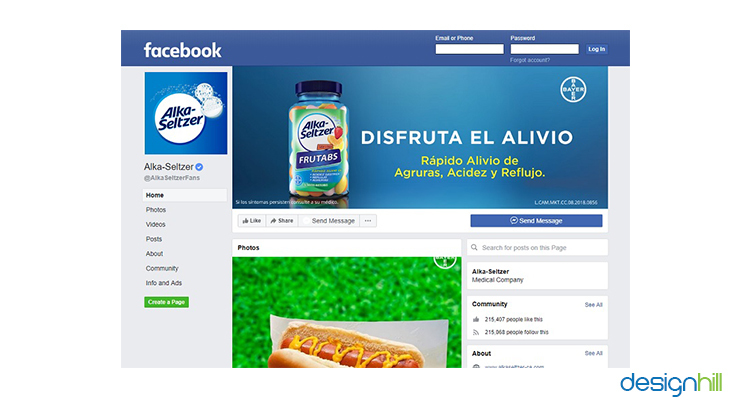 Alka-Seltzer simply uses a box with the logo and two tablets fizzing. However, on some of its products, it only uses the round logo without the fizzing tablets, because it now offers product lines, such as fruit chews. Spend time studying your competitors’ logos and where they place them. The importance of logo placement becomes clear when you see an emblem in an incorrect spot. You’ll notice immediately when the placement doesn’t work with other elements on a website or a flyer for an event. Take notes about what works and what doesn’t. Are any of the logos shaped in a similar way to yours? What do you particularly like about the placement and what do you dislike? The importance of logo placement becomes even more evident when you consider where to put a logo in website design and how it functions for the reader. Around 94 percent of the first impression visitors have of your website is design related. Most people are used to seeing the logo near the top of the page, either in the center or to the left. However, they also expect the logo to function as a link back to the home page, so it must be clickable. 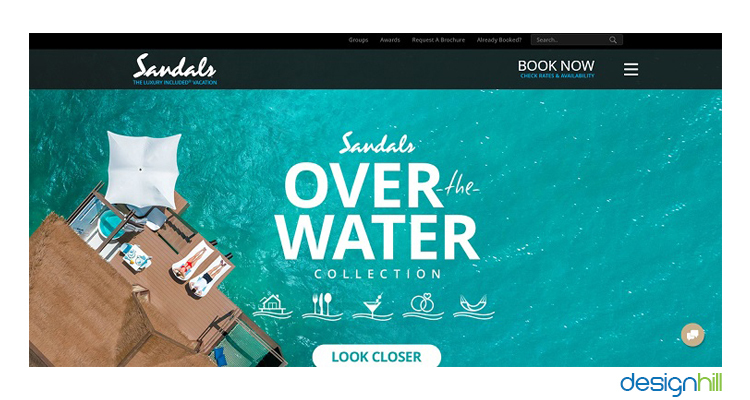 Sandals utilizes its website to meet user expectations, placing the logo in the upper left corner of its landing page. It includes the tagline under the logo, so new visitors know what it offers. The logo is clickable, but it also changes as the user scrolls down the page, reducing to just the words “Sandals Home” and allowing more room for the content. There will be times when your traditional company logo simply won’t work the way you want it to. Perhaps you need placement on a small product package, or you’re sending out a letter with limited space in the header. Whatever the reason, when you design a logo, it’s a good idea to design a few alternate logos that look similar to your main one but are simplified. For example, you might only use the text without an image or only an image without the text. Another idea is to create logos in different colors, so you have an option no matter what color background is used in the design. Highlighting your brand is one of the significances of logo elements most businesses focus on. After all, the images tied to your brand impact the way users see your products and services. Step back from the design project and think about the best placement for your logo both online and offline. If you’re designing for a billboard, do you want the focus on your logo or the message? There isn’t a wrong answer, but it’s important to figure out your goals so you have a better idea if you want the logo middle center or off to one side and smaller. On the Subway app for smartphones, when the page loads, the logo is right at the top and centered. This makes it clear which app the user opened and puts the focus on the restaurant chain as a brand rather than focusing on only one product in the sandwich lineup. 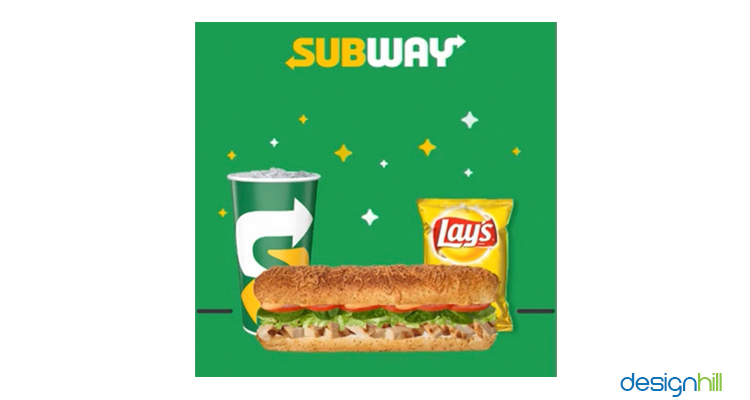 Subway is a perfect example of a brand thinking about the importance of logo placement in its designs. On the sandwich wrappers, the logo is the main focus — with plenty of white space around each logo. Its bags feature the logo in the center, and the website has the logo in the upper left. No matter where you go and interact with the company, your attention is drawn to the logo. Although it’s important to establish your brand, you also don’t want to post your logo just anywhere. People don’t appreciate feeling as though they’re receiving a hard sell, so you should avoid such tactics in your marketing. There are times when placing the logo at the bottom of an email in small scale works, as well as putting it at the top of the email in large scale. If you’re sponsoring an event, let the organizers promote your logo in the way they see fit. Don’t insist on prominent placement, as you may be one of many sponsors. Don’t put your logo up in a social media post thinking people will see it and be impressed. Use it in your profile, and then offer quality content that is more sharable. It’s important you know the basics of logo placements, such as U spacing, the minimum size for readability and good design elements, such as balancing positive and negative space. The best logos adapt well to many different online and offline scenarios and are memorable enough to define the brand. Consider the project at hand, try different sizes and locations for your logo, and choose the one that works best for your audience. Lexie Lu is a graphic designer and UX content strategist. She enjoys covering topics related to UX design, web design, social media and branding. Feel free to subscribe to her design blog, Design Roast, or follow her on Twitter @lexieludesigner.